Take US 395 to turnoff for South Tufa area, just south of Mono Lake. Altostratus clouds turn pink/red at sunset near the south tufa area of Mono Lake. 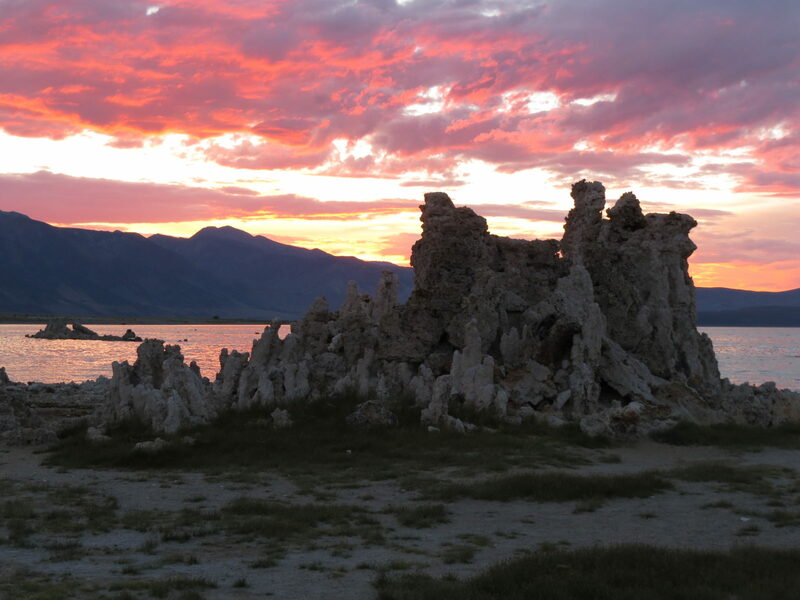 Mono Lake always offers dramatic sunsets, but this particular summer sunset was especially dramatic.